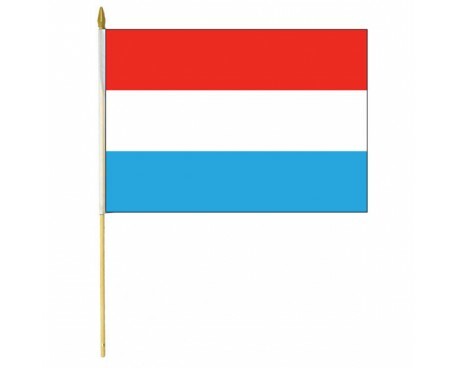 Although Luxembourg is a small nation, it is large enough to have more than one flag. There are two Luxembourg flags, and both of them see frequent use. The triband flag serves as the national flag of Luxembourg, while the red lion pattern is used as the nation's ensign and is frequently displayed by citizens. Luxembourg had no flag until 1830, when patriots were urged to display the national colors. The flag was defined as a horizontal tricolor of red, white, and blue in 1848, but it was not officially adopted until 1972. 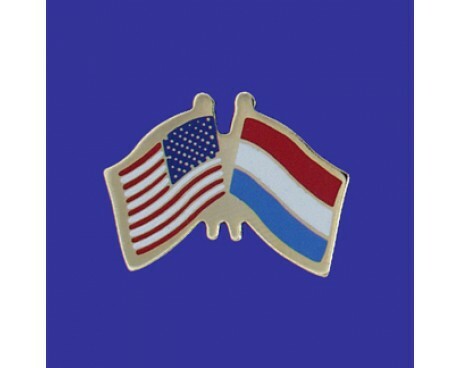 The tricolor flag is almost identical to that of the Netherlands, except that it is longer and its blue stripe is a lighter shade. The red, white, and blue coloring was derived from the Grand Duke's coat of arms, which dates from the 13th century. The flag of Luxembourg is a horizontal triband of red, white, and light blue. The government officially adopted it in 1973, but the flag itself was defined in 1848, shortly after the nation gained its independence after the Belgian revolution. Like many European flags, the Luxembourg flag originated from the coat of arms of its feudal rulers, the Ardennes dynasty, who used a banner of light blue and white stripes emblazoned with a red lion. 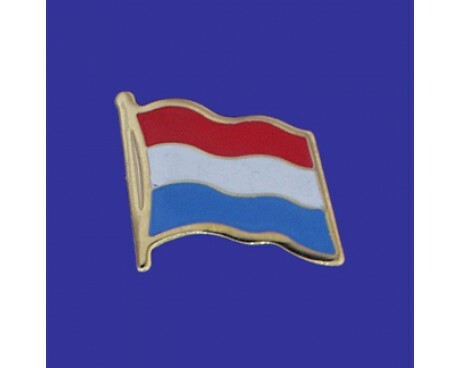 The Luxembourg triband strongly resembles the flag of the Netherlands, so an alternative Luxembourg flag is used as an ensign to prevent confusion between the two. The ensign is often called the Red Lion after the emblem that it features. The flag consists of ten horizontal stripes of alternating white and light blue with a rampant red lion on it. The design dates back to the medieval period, when it was the coat of arms that represented the county of Luxembourg within the Holy Roman Empire. Both of the Luxembourg flags are legal for civil use within the borders of Luxembourg, and the Red Lion tends to be the more popular of the two among people who want to represent Luxembourg at sporting events and other occasions. Only the national flag is legal permitted for civil use outside of the country's borders. The design is so popular among the citizens of Luxembourg that the government has received several petitions to replace the national flag with it, although the government has not acted on those petitions.